Dental technicians/technologists manufacture custom made devices concerning the head and its cavities, mainly the oral cavity. These devices are manufactured in registered dental laboratories/ manufacturing facilities, by registered dental technicians/technologists on prescription from a dental clinician or other relevant medical clinician. Devices/ appliances vary a great deal and may include fixed and removable orthodontic devices, non-metallic and metallic partial or full dentures; crowns, bridges and maxillo-facial prosthesis either tissue born, tooth born or implant supported as well as anti snoring, sleep apnea and headache or similar custom made devices. In South Africa there is a difference between the qualification of a dental technician and a dental technologist. The scope of practice for both are much the same, with some exceptions as indicated below. National Diploma in Dental Technology from a recognized South African institution. An approved overseas dental technology qualification, together with the successful (50% a pass) completion of a registration examination as prescribed by the SADTC. B-Tech degree in Dental Technology from a recognized South African institution. A registration with SADTC after the successfully completion of registered apprenticeship plus 3 years appropriate post registration work experience. Diploma: Dental Technology (SADTC) plus 3 years appropriate post registration work experience. Higher Diploma in Dental Technology from a recognized South African institution plus 3 years appropriate post registration work experience. An approved overseas dental technology qualification, together with the successful (50% a pass) completion of a registration examination as prescribed by the SADTC. carry out infection control procedures to prevent physical, chemical and microbiological contamination in the laboratory/ manufacturing facility. select appropriate materials for the design, manufacture and repair of fixed and removable custom made devices as prescribed by a relevant practicing dental clinician or other appropriate clinical professional. design, plan and manufacture a range of custom-made fixed or removable custom made devices according to a written prescription or verbal instruction by a relevant practicing dental clinician or other appropriate clinical professional. repair and modify fixed or removable custom made devices on the instruction of a relevant dental clinician or other appropriate clinical professional. carry out shade taking if requested by a relevant practicing dental/medical clinician. verify and take responsibility for the quality and safety of devices leaving the dental laboratory in as far as appropriate to the profession. supervise a dental laboratory assistant. Practice in this context goes wider than dental technology. It includes teaching, research and management, given that such does influence clinical and technical practice and public safety. Areas of dental technology practice which were not included in a practitioner’s training should not be undertaken unless the practitioner has successfully completed appropriate training and practices to the standard required by the relevant Scope of Practice. be a dental technician contractor, and/or supervise a dental laboratory. employ dental technicians, dental laboratory assistants. review cases coming into the laboratory to decide how they should progress. 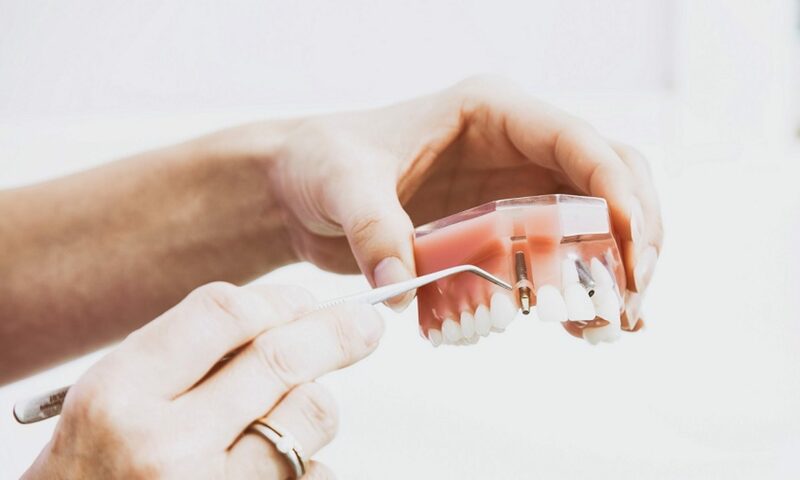 work with a relevant dental clinician or appropriate clinical professional on treatment planning and design of a custom made devices appliance for a specific patient.